What are your needs?? Time to vote! 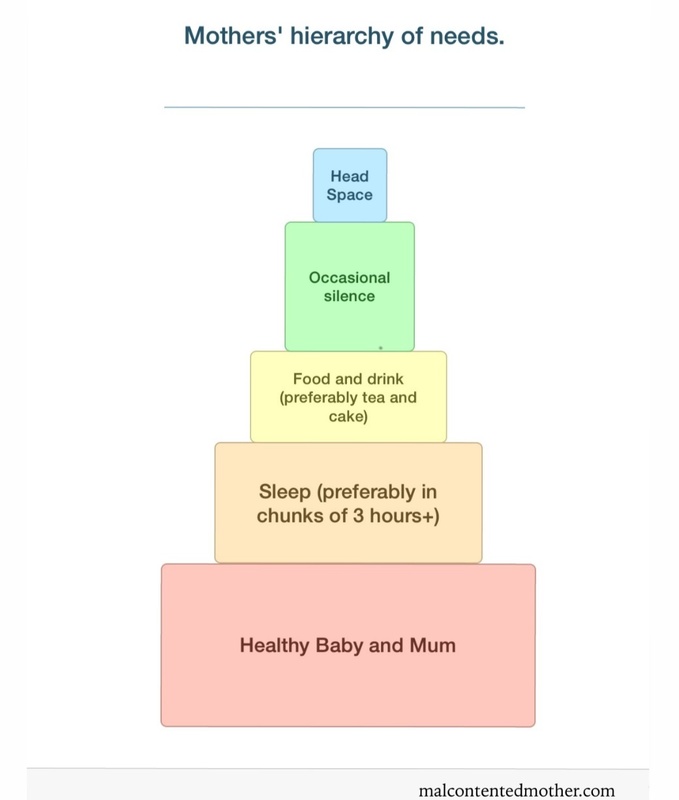 In my last post I created a ‘hierarchy of needs’ for mums. Basically just to show that, whatever you’re going through, we all find it tough in one way or another. I also posted the #hierarchyofneeds on Twitter (come in people, it’s 2014, you gotta have a hashtag!) Loads of people responded offering suggestions of what they would add. Two main themes, not totally unrelated if I may say, arose. The first, of course, was Gin! How could I have been so remiss as to miss out alcohol? Wine also came up a few times, naturally. 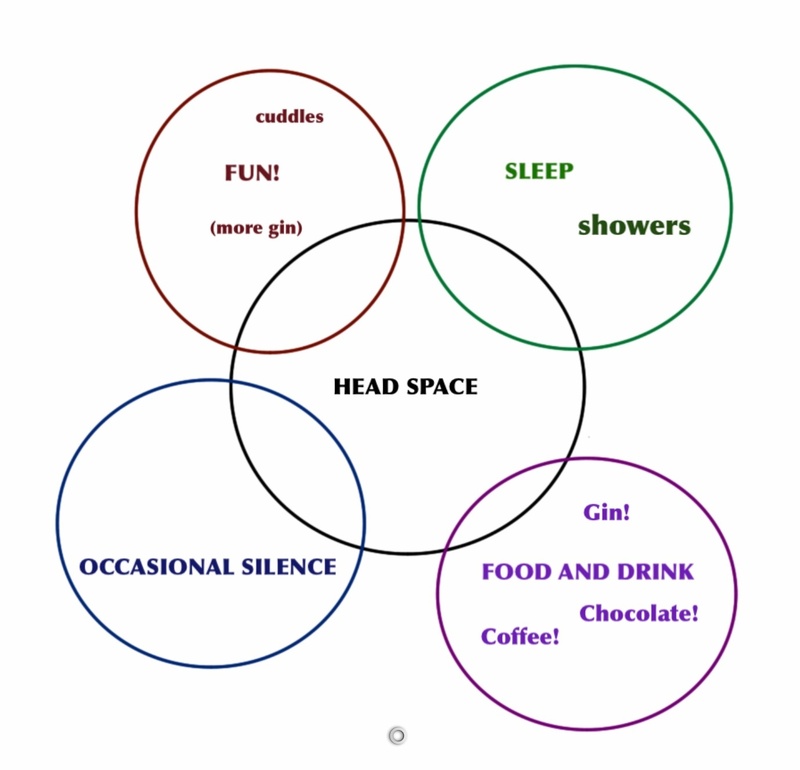 The second was how much headspace was totally central to getting through this parenting lark. I’d put it at the top of the pyramid, but maybe it was really at the heart of it all. 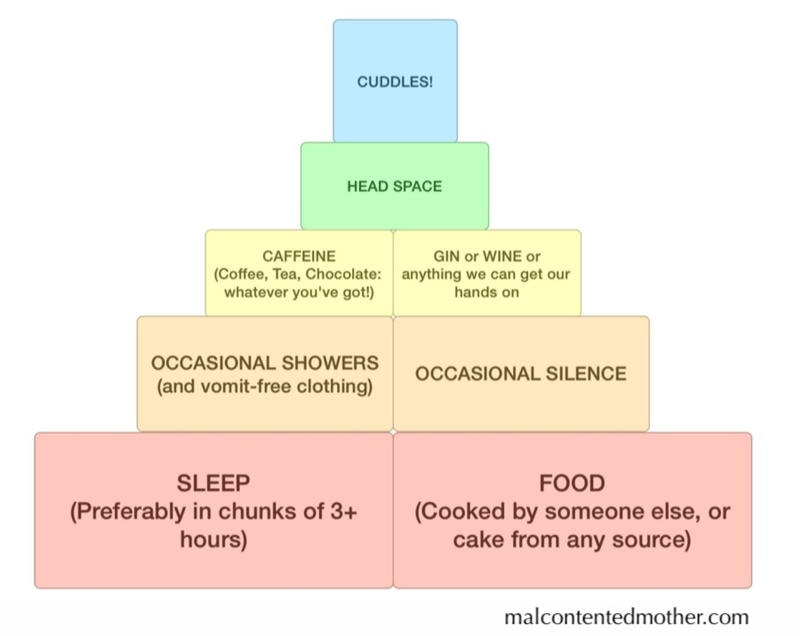 Cuddles, coffee, showers and puke-free clothes also came up. So I got to thinking, downloaded some free apps (you gotta love free apps) and made a few more #hierarchyofneeds models. I have displayed them for you below. So, what do you think? 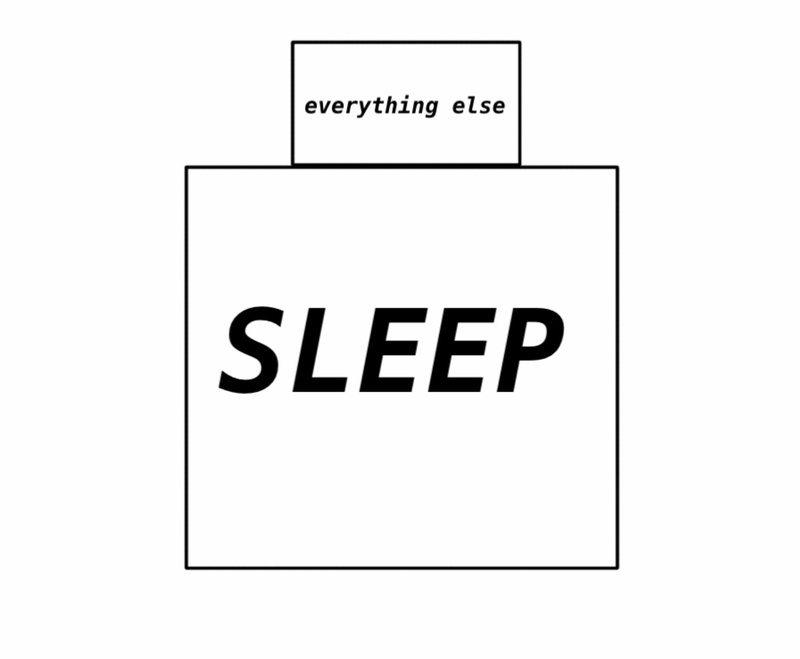 Which do you feel best conveys your own needs? Have your say in the, frankly quite funky, poll below. I will announce the winner a week from now. Make your voice heard! (Obvs this is a completely meaningless bloggy vote but, you know, humour me). ← ‘Good’ Births, Weight Loss and Sleeping Through: why no mum wants to be told she’s ‘lucky’.